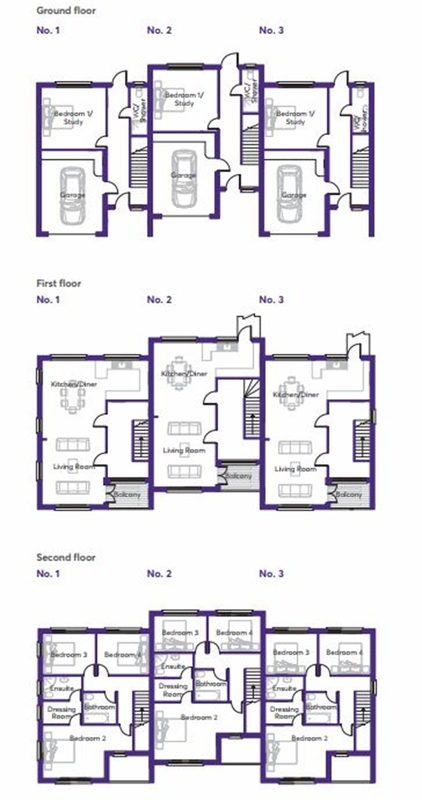 Plot 2 - A brand new development of three, four double bedroomed contemporary houses constructed to a superlative standard with a modern look. 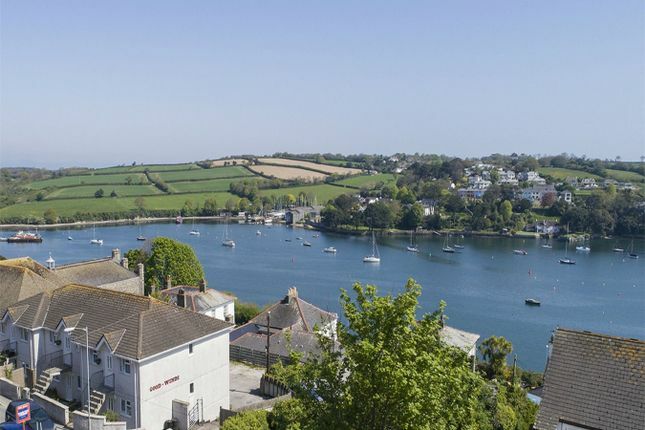 Set in a commanding position, these stylish terraced townhouses enjoy magnificent views to Flushing over the Fal River reaching as far as the Carrick Roads, St Mawes and the Roseland Peninsula. Light and airy in design, each of the three houses will be finished to a high specification. Internally the open plan living area combines style and space with high quality kitchen fittings and bathrooms. Boasting large balconies to the front you are able to appreciate the setting, stunning views and take in the last of the days sunshine. A major attribute is the benefit of off-road parking and large garage - a hard to find asset with any property this close to Falmouth town centre.These modern spacious townhouses offer superb accommodation with four double bedrooms. The ground floor has a large double bedroom with adjacent shower room. This could always be utilised as office space. To the front is an integral garage. The entire first floor is bright and open plan living room with high quality kitchen and dining area. From the living area patio doors lead onto a balcony, enjoying elevated river and country views. The second floor has a further three double bedrooms and a well-appointed family bathroom. The master bedroom benefits from both an en-suite dressing room and bathroom. Each homes comes with a sprinkler system as well as double glazing throughout. Smart wiring has also been installed allowing different home systems and sensors to be integrated throughout your home. TV distribution with co-ax is also installed into key areas.Located literally a stone’s throw from the sea, a riverside walk takes you along Greenbank past the highly regarded Greenbank Hotel onto Falmouth town in no more than 10 minutes - a historic and extremely desirable seaside town. Falmouth is a bustling harbourside town growing in reputation as one of the most desirable places to live in the UK. marks the entrance to what is the world’s third deepest natural harbour and also home to the National Maritime Museum. The colourful harbour plays host to many sailing events and transatlantic races including the Tall Ships race. The town hosts many food and drink events and music events each year. Falmouth's renowned seafront is within a short twenty-minute walk and is home to Gyllyngvase's blue flag beach and popular café. Property descriptions and related information displayed on this page, with the exclusion of Running Costs data, are marketing materials provided by Lewis Haughton Wills, and do not constitute property particulars. Please contact Lewis Haughton Wills for full details and further information. The Running Costs data displayed on this page are provided by PrimeLocation to give an indication of potential running costs based on various data sources. PrimeLocation does not warrant or accept any responsibility for the accuracy or completeness of the property descriptions, related information or Running Costs data provided here.